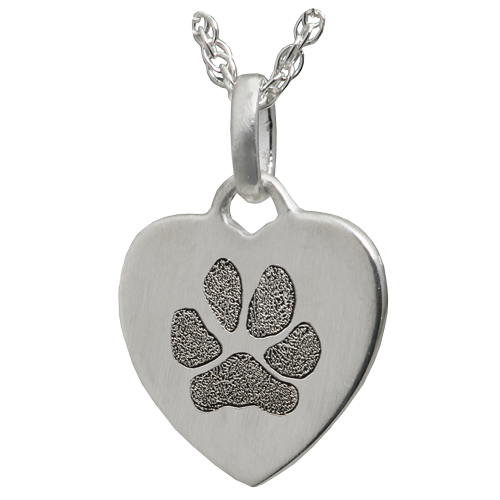 Your furry companion's actual pawprint is etched onto the metal surface of this sweet, mini heart pendant. 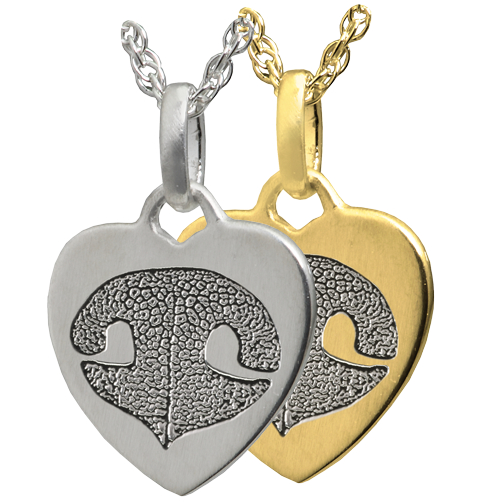 Makes a darling necklace or charm bracelet to cherish always. 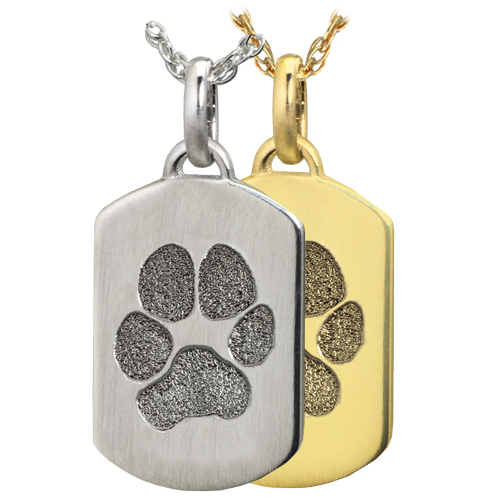 Back Options: You may personalize the back with a print (noseprint or pawprint) or text in script or block. 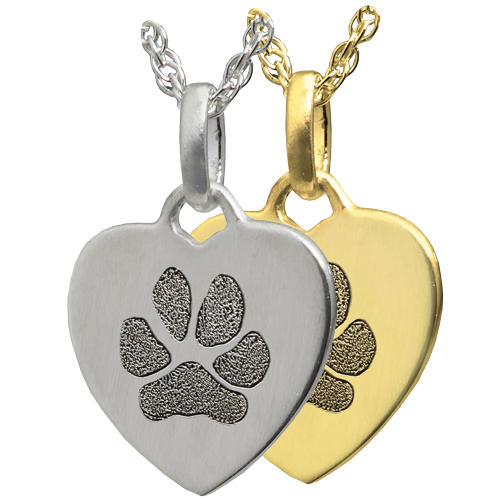 Standard engraving: 1 business day until pendant ships from the date we receive your pawprint or other print file. 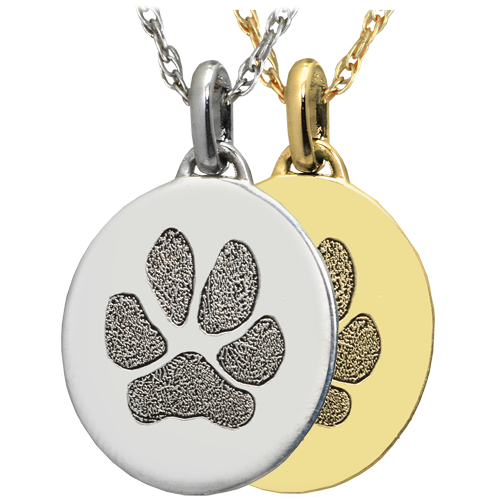 How do I Collect a Pawprint? Take a high resolution photo of the paw. For best results, make sure the paw is in sharp focus.